Toyota Corolla excellent choice for rental. The car is equipped with an automatic transmission and a powerful engine that makes the trip absolutely comfortable. Integrated parking camera will help you to easily park your car at any parking. 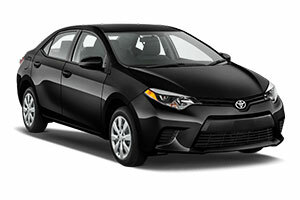 Rent Toyota Corolla and enjoy the ride.